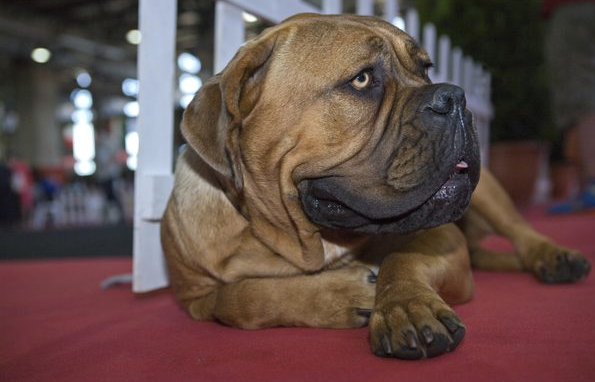 When it comes to large and adorable pet and household dogs, the Mastiff easily makes the short list among many pet owners and enthusiasts. Also known as a molosser, the Mastiff belongs to a family of large and solidly-built dogs, known for well-muscled necks, heavy bones, and short muzzles. Both the male and female Mastiff can weigh up to 190 lbs at adulthood. Thanks to its built, the Mastiff is a favoured guardian and family pet in many households. 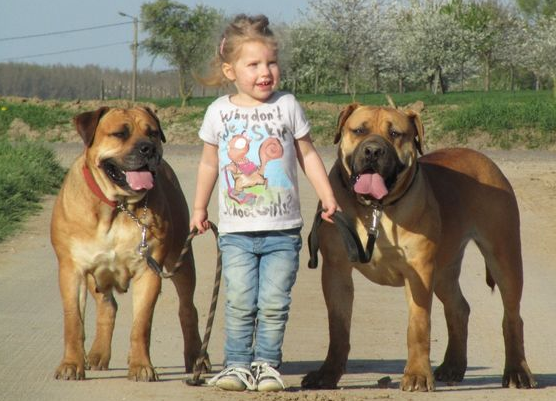 Known as good and protective companions, especially to older children, the mastiff should be properly trained and exposed to a number of people and different situations at a young age. This kind of immersion on top of the regular training can help develop the personality of the dog. While the mastiff is known to be dignified, protective, and kind, it is not recommended to use the dog as a companion for toddlers or small children. The large size of the mastiff may not be suited for small kids in the household. The protective nature of the mastiff can be seen when there are strangers and guests in the home. If they can observe strangers within the area, the mastiff tends to be suspicious and protective of family members. Mastiffs will bark at strangers, and will make sure that its perceived territory is protected against perceived intruders. As a large family of dogs, you will find different breeds of mastiff, and each breed is known for its specific attributes and personalities. 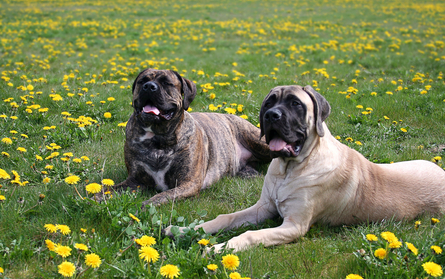 Some of the popular mastiffs that can be seen in many households today are Argentinian Mastiff, Brazilian Mastiff, English Mastiff, French Mastiff, and German Mastiff. Also known as ‘Dogo Argentino’, the Argentinian Mastiff is muscular and white, and friendly. This mastiff breed is also easy to train, thus making this a perfect household guardian. If you are looking for an extremely loyal guardian, then the Brazilian Mastiff is the best choice. This large mastiff is extremely loyal, and can be aggressive at times. For families looking for an extremely large mastiff, but a gentle one, then the English Mastiff suits the requirements. With its large head and massive body, the English Mastiff is considered the largest breed, at least in terms of body mass. They are even heavier than a Saint Bernard, and its size makes it a great dog guardian. Although the English Mastiff is a large specimen, it features a friendly nature, is calm and extremely gentle. The mastiff can live up to 10 years, and with proper grooming and care, you can enjoy the company of your dog for many years. The food that the mastiff can eat will depend on the owner, but seeking the services of a veterinarian can help identify the best diet and frequency of meals for the pet. The assistance of the veterinarian can be helpful if you want guidance in assessing the different breed formulas available. In addition, a vet can help in the event your dog suffers an injury, or is in need of other medical attention.